A Bresser Messier-AR-102-AS ED refractor was mounted on a Skywatcher Star Discovery AZ, GOTO mount. A SVBONY T7 W2568A High speed camera was placed at the prime focus and AstroDMx Capture for Linux incorporating ZWO's latest SDK in which gamma control has been removed. (More information here) Nicola has implemented, for display only, (not for capture), software gamma, contrast and brightness controls. These enable the user to view the image and make sure that the exposure and gain are correct. 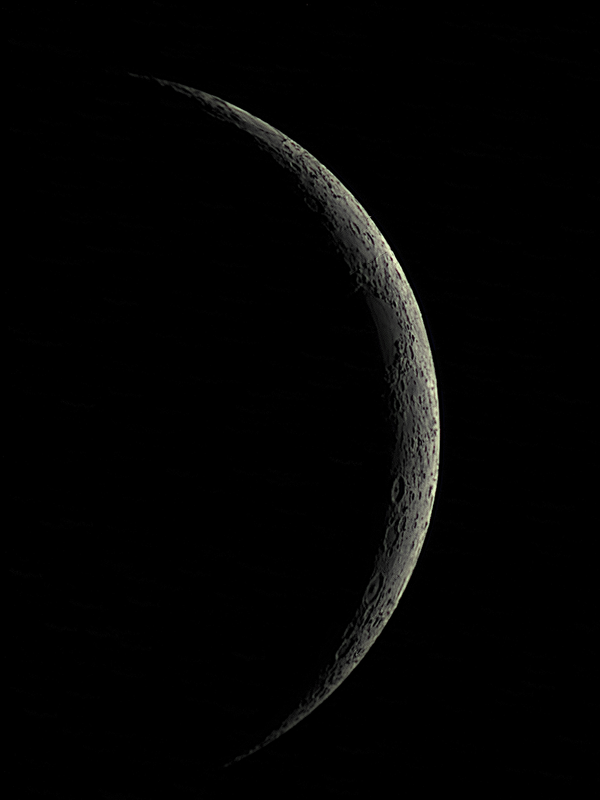 The 7.5% and 15.2% waxing crescent Moons were imaged on successive nights. 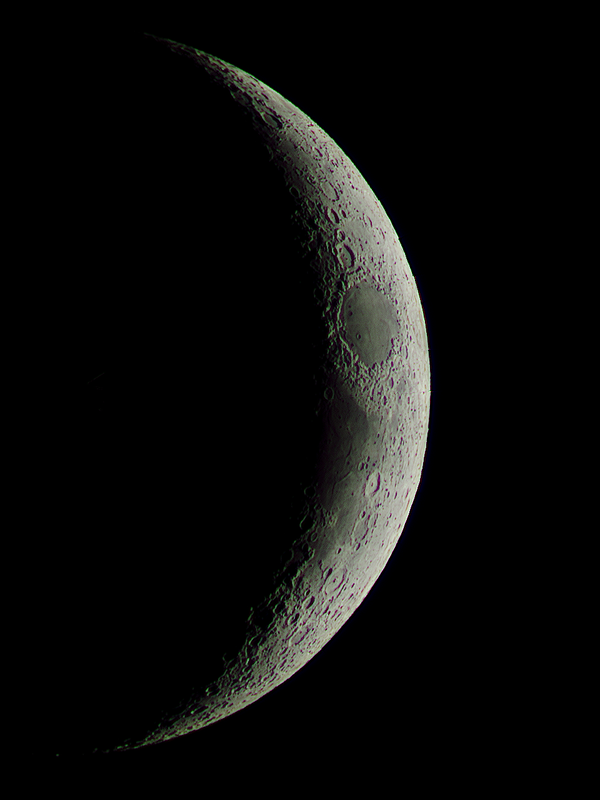 2000, 8 bit Tiff files were captured of the 7.5% Moon and 1500, 16 bit Tiff files were captured of the 15.2% Moon. The images were stacked in Registax 5.1 running in Wine and post processed in the Gimp 2.10.